A graduate of the University of Alabama in Huntsville, with a bachelor’s degree in physical organic chemistry, Dr. Lamb earned his medical degree at University of Alabama School of Medicine in Birmingham. He went on to complete a general surgery residency at Mayo Graduate School of Medicine in Rochester, Minnesota, and a urology residency at the University of Illinois Graduate School of Medicine in Chicago. Dr. Lamb is a diplomate of the American Board of Urology and the National Board of Medical Examiners. A fellow of the American College of Surgeons, he is a member of the American Urological Association, the Southeastern Section of the American Urological Association, and the South Carolina Urological Association, among others. His leadership at these and other professional organizations has advanced the field of urology. 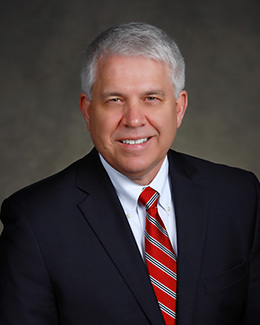 In addition to these accomplishments, Dr. Lamb is a former chief of staff at Lexington Medical Center and past president of the South Carolina Urological Association. Dr. Lamb previously worked in private practice, providing comprehensive urologic care to patients in the Midlands at Carolina Urology Partners in West Columbia, South Carolina. He has more than 30 years of experience evaluating, diagnosing and treating urologic conditions and disorders, and specializes in general urology, urologic oncology, stone disease, female urology and sexual dysfunction. Dr. Lamb proudly joins the board-certified physicians at Lexington Urology to provide comprehensive urologic care and advanced treatments for urologic conditions, including robotic and minimally invasive surgery. As the newest physician practice in the Lexington Medical Center Network of Care, Lexington Urology combines the most advanced medicine and state-of-the-art technology with compassionate care to help patients achieve the best possible outcomes.